I just signed up with hostgator and became an affiliate to promote them. If you clink on this “hostgator” link and buy service I may possibly profit from that transaction. I only promote things I like so here’s what I like about them so far. 1. Under the business plan I get a dedicated IP. This might give me an edge in the search engines because it tells Google that I’m serious about my business and I Am willing to pay a few dollars more each month to get a dedicated IP just for my business. 2. Easy to install wordpress. You just basically name your wordpress site, click and your wordpress is installed. Yeah it is easy enough to upload/ftp the files to your server, but I’d rather not wait for all that to happen. It is just so much quicker and easier. 3. Free toll free number. I’m not quite sure what I’m going to do with this since my house rental business already has a phone number, but I am paying over $12 a month for another business that doesn’t. So this might be a big plus for you if you have a new online business that needs a toll free number. 4. Monthly or yearly billing. You can just pay as you go or pay upfront for several years if you like. If you want to take every advantage you can in the world of the web, then get a dedicated IP and easy wordpress install with hostgator. Go ahead! Click my hostgator link and find out if it is right for you! As my typical morning ritual, I turned on my computer and went directly to Google. They has one of their cool designs for Google but the letters were all wrong. It said Topeka in the google font and colors. There was a link to a post explaining it. It took me a few moments to realize it was an April fools joke, and very funny! Go to google.co or read the post right here. Topeka formerly know as google. I imagine a million people will link to this page. So now when people searck for Topeka, will google show up in the search results? 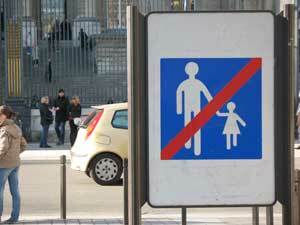 Possibly this sign means do not hold the hand of your child when you cross the street. Does anyone have another suggestion? Found in Paris, France on Rue Cabanis in front to FIAP Jean Monnet. Or it could mean fathers, don’t hold the hand of your daughter while crossing the street. In our last Mastermind meeting Mark O. was talking about the membership site software, Digital Access Pass, he used that I told him about. 1. You can read about how to use it on the DAP site but the reason I chose it was because of the support. 2. The owner Ravi Jaygopal will install it on your blog for you for free. 3. If there are any issues with the software Ravi will fix it for you right away for free and with a smile. 4. If you needed a tweak for some reason he remembers that an update will require a small tweak and he does that for you too. 5. You can call Ravi on the phone and he will help you. 6. If you want to integrate it with a shopping cart that is not supported he will come up with a workaround. In my case he is working with SFScart.com to get it to interact with his DAP on my site. 7. Did I mention AWESOME support? P.S. There is a pay by the month option now, only $17 a month. Maybe you are like me on claiming your facebook name — a bit too late. Someone else who doesn’t even have my exact name used it for theirs. Her name is DaLana Hawkins. Geez. When you go to select your name in facebook you can see if any particular combination is available. I believe it is under settings. Facebook will give you some choices if your name is taken like lanahawkins2, lanahawkins3 — totally lame in my humble opinion. I’ll have to see what happens in a search for this one and I’ll update this post if anything interesting happens. P.S. this is very similar for google gmail too. I just ran across this easy to use application that lets you change your twitter background really easily and for free. It’s run by a group of programmers named Zugara. You can donate some money to them and they send it to the Make a Wish Foundation. You sign in using your twitter account if you want it to automatically load your new theme and background automatically. I recommend the twitter sign-in method. It seems to give you more choices in your design. Or use it without signing in. Select a theme or use a blank theme. You can upload an image and it shows you what it will look like in various screen resolution. You can also change the text colors, link colors background color (if your background image doesn’t cover it all, plus both sidebar colors. The twitter panel can also be ghosted (transparent). You can add shapes and objects and images and move them around. It’s fun and easy to use. I highly recommend it! Local Business Owner Challenges Brick And Mortar Companies: I Can Improve Your Advertising ROI! Ann Arbor, MI (April 18, 2009) – Lana Hawkins, a local business owner, is making a challenge to community businesses across Ann Arbor. 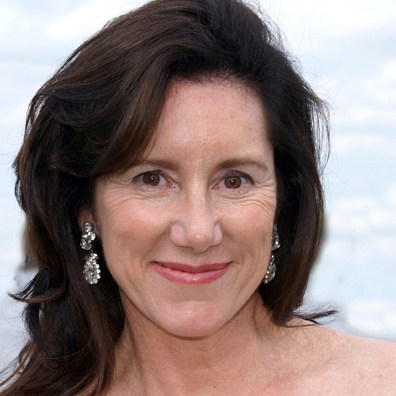 She believes she can show them how to get more for their advertising dollar – even in today’s economy. Online local search has been proven to be the first thing people do when they are looking for local businesses. In fact, according to DMNews “35% of ALL searches [on the internet] are local”. Because more and more people are performing searches online before they ever leave their homes, Lana Hawkins is helping local businesses get their name in front of those internet surfers. Lana Hawkins recently launched a website, directoryofannarbormi.com (aka dira2.com), and has started attracting many local brick and mortar businesses who want to improve their chances of getting found on the internet quickly. “Brick and mortar businesses know that marketing and advertising are important to continue even during the toughest times but they do look for ways to save. And that’s exactly what we’re giving them.” says Lana Hawkins. Using her directory, directoryofannarbormi.com, local businesses will get instant advertising in the online directory with just a few clicks. It’s easy and simple. There are no long forms or creative advertising needed. It’s perfect for any size businesses looking to save a few dollars on advertising and improve their overall customer reach. All the local companies who participate will be one step ahead of their local competition. Since more and more people are searching online for local businesses it makes it obvious that more owners will start leveraging local search to their advantage. Directoryofannarbormi.com provides space for a detailed description that makes it effortless for anyone who visits your listing to know exactly what you provide. It is a perfect opportunity for your company to make that internet surfer an offer they can’t refuse. These listings for local businesses will be served up for all the local communities and optimized just for Ann Arbor. The added value a directory such as this brings to local businesses is tremendous and helps get your company in front of your ideal client faster. For more information you can visit directoryofannarbormi.com (or dira2.com), contact Lana Hawkins at 734 478-2936, or email to directoryofannarbor@gmail.com. Or get your free listing in the directory by going to http://directoryofannarbormi.com/submit.php. We’ll approve your legit Ann Arbor business listing in about 24 hours. The mom in me wants to show you the video my daughter made Thanksgiving weekend for the Coldplay LOST? video contest. One of the things that impressed me was that weeks before hand she knew what the story was going to be and she made a story board with the exact times for each shot. Then she edited it using FinalCut Pro. My daughter and I made a great music video for the Coldplay LOST? contest this weekend. It involved three days of shooting, mostly because of a minor continuity mistake. One of the scenes had the main character holding a scarf after a pivotal point on the story. However, that scarf made it into a few too many scenes. We shot on the second day, however, that day turned out to be much sunnier than the first. After a lot of color correction it was decided by the Director, Miura Hawkins, to re-shoot the scenes on the following day which turned out to be cloudy like the first day. Well we live in Michigan so you’re nearly guaranteed some cloudy weather at least after a sunny day. Not too much sun here. It was much better for shooting since we didn’t need to match lighting when it’s overcast. We made this movie in HD and it turned out great. I will post a link once it uploads to youtube. Actually, I post a link to vimeo because I think the quality will be better. The Coldplay contest requires an upload to youtube. Miura put together a story board with times for each scene this made the process run really smoothly over all. I have to give her a ton of credit on the story board. 75% of the people in my video classes had little or no story boards for their videos and she’s in 11th grade. Go Miura! I’m totally psyched by this one! You’ve gotta check out this new blog I found called ExtremeSportsBlog.com . There are fifty (50) different categories of extreme sports with over 20 videos in each category. I never even heard of some of these things before I saw this blog. You’ve got your Base Jumping, Winged Suit Flying, and Zorbing (huh?). Zorbing — you know, rolling around in a human sized hamster ball down a gentle hill. Geez, now I know what the pet hamster must have felt when the neighbor kid rolled him down the stairs. How about Ski Joring or Jumping Stilts? Wow. Now that’s new to me. There are at least 1,017 videos on the site and many will get your heart pumping just imagining doing it. Put yourself in the place of these guys who not only jump off 1,000 ft cliffs but do a few back flips off a launching pad in the process. Need a rubberneck fix? Take a look at some of these nasty crashes and be glad it’s not you. Yikes. Check out this one BMX Video Crashes. Have fun and forget the coffee!